The Dickinson Log Cabin on the grounds of the Wayne County Historical Museum, with the the Hicksite Friends Meetinghouse in the background. Richmond, Indiana, (population 39,164), was founded by John Smith and Jeremiah Cox, two North Carolina Quakers who arrived in 1806 and settled on the gorge cliff of the Whitewater River. By 1815, the town was a bustling trading center, and it was incorporated in 1818. A bridge over the Whitewater River built in 1836 made possible the further western expansion of the nation on the National Road, now known as U.S. 40. The city’s location on the National Road and ready access to waterpower guaranteed its early growth, especially in the Whitewater Valley Gorge. The city is also known as the Rose City. E.G. Hill started a floral business that eventually included 34 acres under glass. Hills’ Floral Company became internationally known for developing new hybrids and for growing, importing, and distributing wholesale roses. Today, the city is reinventing itself as a tourist destination. Fourteen historic districts and the Whitewater Gorge Trail in the heart of the city provide a unique experience for visitors. 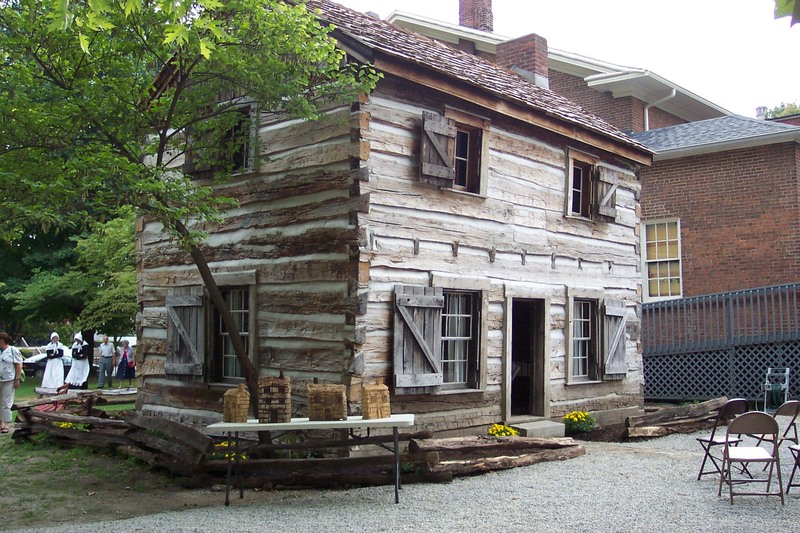 One attraction is the rehabilitated Dickinson Log Cabin, constructed in 1823 and the city’s oldest extant building. During the community’s annual Pioneer Harvest Festival, about 2,000 people visit the cabin and view demonstrations of traditional crafts, historical reenactments, and steam engines and steam-powered tractors. The Wayne County Historical Museum is housed in the Hicksite Friends Meetinghouse, which is listed on the National Register of Historic Places. The grounds are home to the Dickinson Log Cabin, as well as an 1890s functioning print shop, an 1880s blacksmith shop, the county’s oldest log school house (1812), and a turn-of-the-century general store, complete with post office. The two-hour Richmond Historic Auto Tour, complete with map and audio CD, takes visitors past the city’s historic homes, commercial and public buildings, architectural features, and museums.